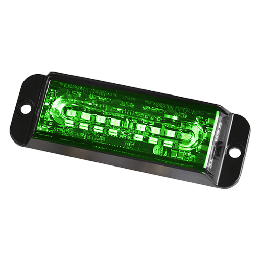 What kind of Green/Amber Strobe Lights are you looking for? Emergency green and amber strobe lights let everyone know the situation is critical and warn pedestrians and motorists to fall back. When you need brilliant light our LED strobe lights create visibility. Add warning visibility to your vehicle with our LED light bars. Check your state regulations with our easy to use guide on colors for your region.